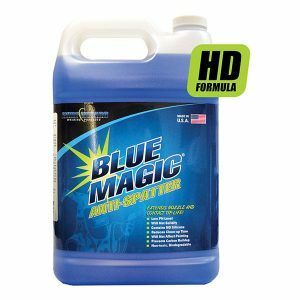 Blue Magic® Anti-Spatter Solution is a cost effective, environmentally safe product formulated for industrial robotic and semi-automatic welding applications. This new generation of anti-spatter solution provides superb performance even at high temperatures. The biodegradable formula contains no harmful chemicals and is noncombustible. 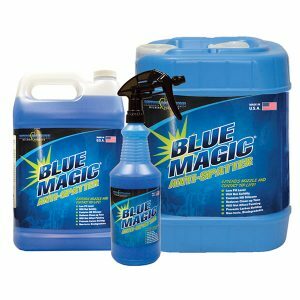 Choose Blue Magic® for welding applications where there is a moderate to large amount of spatter or slag. No mixing required. 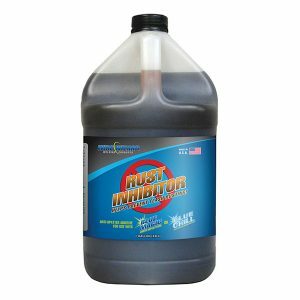 Help prevent flash rusting with Wire Wizard® Rust Inhibitor additive formulated for mixing with either Blue Magic® or Blue Chill® Anti-spatter. 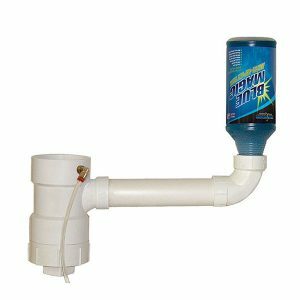 1 gallon (3.8 L) container is enough to mix up to 55 gallons of anti-spatter (mixing ratio depends on application). 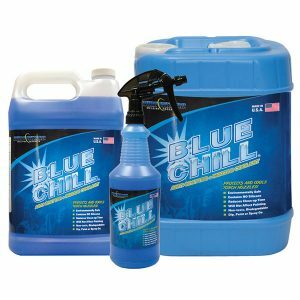 This popular industrial size manifold kit dispenses Blue Magic® or Blue Chill® anti-spatter to Torch Wizard® Nozzle Cleaning Stations or to refill stations for nozzle dipping or spraying. Easily integrated into any weld cell stations. 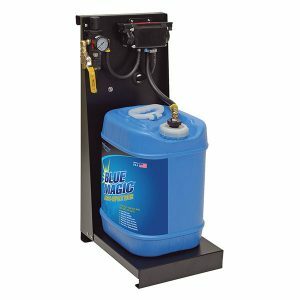 The 55 gallon drum manifold kit dispenses Blue Magic® or Blue Chill® anti-spatter to Torch Wizard® Nozzle Cleaning Stations or to refill stations for nozzle dipping or spraying. 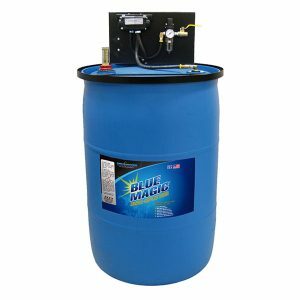 Fits securely on Blue Magic® or Blue Chill® anti-spatter bulk 55 gallon drums and eliminates the need to refill small, gravity fed containers on a frequent basis. Optional gauge monitors fluid level for easier maintenance. 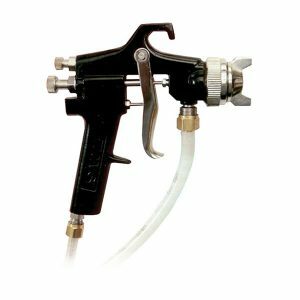 Designed for spot-spray applications of Blue Magic® or Blue Chill® anti-spatter, this hand-held spray gun is ideal for coating “weld zone” areas. Can be used with our bulk dispensing kits.